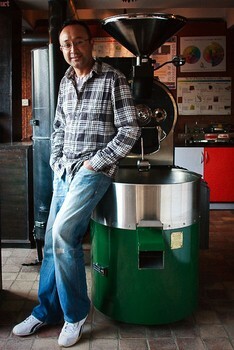 The person behind the giving the Kathmanduites the taste of real coffee, Gagan Pradhan not only nurtured the coffee culture in Nepal but also gave the international coffee market a run for their money by introducing Nepali coffee to the market. He changed the way of eating out in Kathmandu in less than eight years. He not only introduced the concept of the informal coffee lounge in Kathmandu but gave us the comfortable Java to couch on and enjoy coffee. Born in Bhaktapur to a family involved in the Travel Business, he was raised in Baneshwor. He studied in Siddhartha Banasthali School and completed his college from Shankar Dev College. 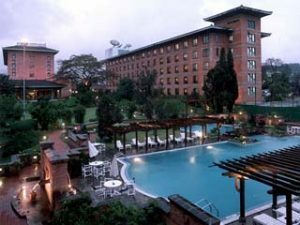 He was fascinated by the charm of the Hospitality business as a child and his visits to five star hotels used to leave him spellbound. He went to Australia to pursue his studies at the William Blue School of Hospitality, Tourism and Leisure Management, Sydney, Australia. He returned, seven years later, with some money, a lot of experience, enthusiasm and the desire to make a difference. After his return, he joined a five star hotel as a front office manager and worked for a week after which he left the job searching for an opportunity in the hospitality business. It was then, he was attracted to the coffee business. He went to the United States to take a six week professional coffee training at Specialty Coffee Association of America and brought back the best coffee machines and started JAVA using minimal resources. The World Cup Football 2002 became the turning point for the investor as well as the establishment. He also came up with the most sophisticated and exclusive bars in Nepal when he customers demanded more than just coffee. They wanted a place to socialize with some exclusive drinks, a bar that had similar services like Java. The bar cost him twenty times more than he had spent on JAVA. He believes in having patience and giving time and faith to what you are doing. His other ventures include Courtyard in Putalisadak – Kamaladi road that used the specialty of Siddhartha Gopalan for design and has a nice cozy ambiance. Sports Bar designed by Gagan himself has a British Pub feel and Jeans Café that has vibrant and trendy colors and brilliant use of space. Gagan likes to travel to recharge his boring schedule and bring new things. He is planning to open up at least twenty JAVAs in different parts of Kathmandu and also has plants to get involved into travel and tourism business to promote his father’s business. Besides catering coffee in Nepal, he is also interested in architecture and designed one of his popular ventures, The Sports Bar.